Hold on to your eyeball, this MIGHT be the cutest eye shadow palette EVER. TooFaced has came out with the Too Faced Clover Palette ($49) which is named after an adorable Chihuahua named "Clover" from Too Faced founder, "Jerrod Blandino" This features 18 gorgeous new pans of Too Faced color, & also a signature Glamour Guide. 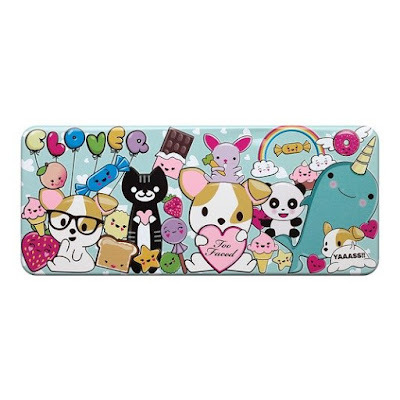 This is Too Faced's first ever exclusive palette. Highly pigmented, and I can tell just from the pictures of the glittery shadow. it's just darling. And the best part? 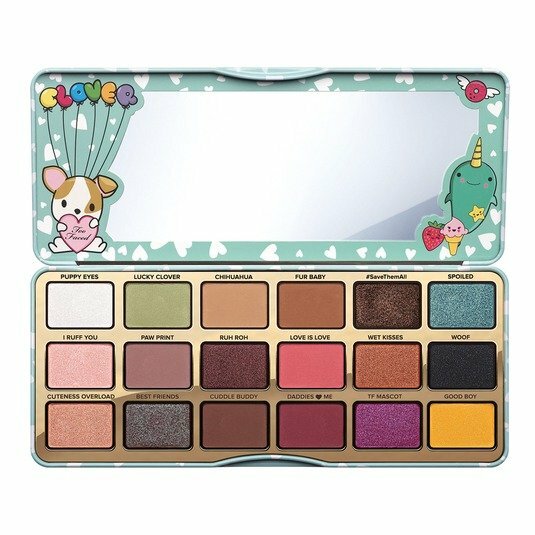 Too Faced is donating $250,000 of the proceeds to the Best Friends Animal Society. Go here to visit the website & enter to win 1 of 10 Clover Palettes!